A wonderland like countryside and children with heartbreakingly miserable lives: the Csango Hungarian children belong to the most endangered ethnic group in Europe. Their parents have gone to work abroad. They are usually lodged with relatives and often have to earn their own food. They lack the basic necessities and their mother tongue, a distinct dialect of Hungarian is vanishing. 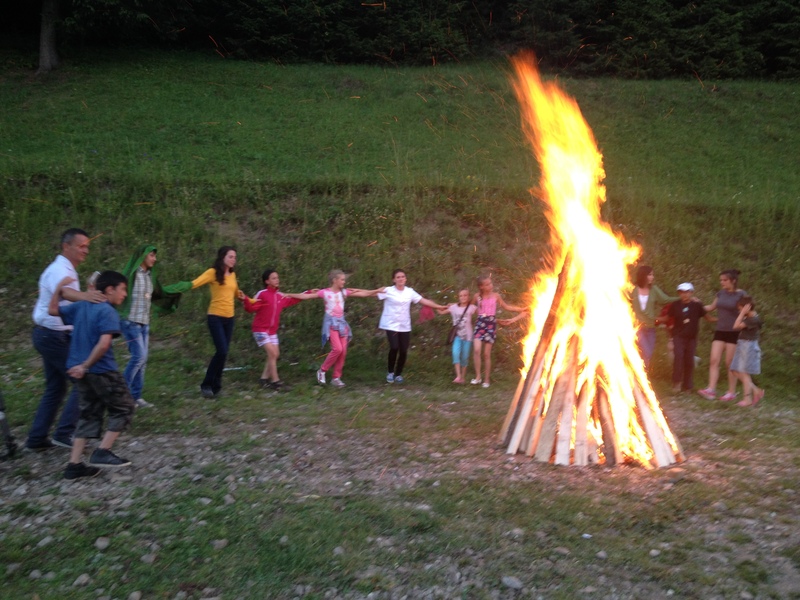 Karina Kecskés runs a fairy tale camp for needy children. She wanted to give more than material aid and make the children believe that they can change their own lives. The camp did not only start changes in the children but also showed the actress how minute the difficulties are of her Budapest life compared to the problems of the Csango. The camp has become a lifechanging event for her. We can see the actress in Budapest as she prepares for the journey. There will be 2 or 3 children as main characters. We will see their living conditions, learn about their life stories and in the meanwhile we will follow the events in the camp to see how Fairytale Therapy can make the children believe that they are smart and lovable and can cope with the difficulties. Our film not only intends to talk about a remote and endangered ethnic group but would also like to give a profound example for how we can recharge ourselves with the help of nature, a community, love and fairy tales.